The Armeros ran out 3-1 winners over Qatari outfit Lekhwiya SC. On day two of their training camp in Austria, Eibar faced Lekhwiya Sports Club in a game which saw José Luis Mendilibar adopt a different strategy to the one operated so far this pre-season, with the coach handing his initial starting XI a full 90 minutes against their Qatar Stars League opponents. The Armeros dictated the tempo and were the better side in the first half. 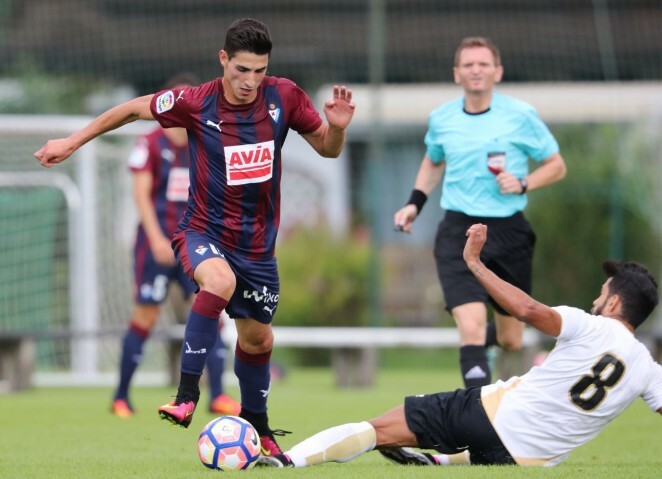 With 23 minutes on the clock, Eibar got their noses in front when Unai Elgezabal nodded home from a Pere Milla corner. Firmly in command, Mendilibar's men went into the break in the driving seat. Within minutes of the restart, Eibar youngster Milla once again caught the eye, letting fly from the edge of the area with a shot which snuck inside the post. With 60 minutes gone, all of the play was focused in and around the opposition's box and the Armeros were relishing their dominance, until a defensive lapse allowed the Qataris to claim their first goal of the evening. However, on 68 minutes Bebé headed home to put the result beyond all doubt. Several dozens of locals took their places inside Kössen's Kaiserwinkl Arena, where despite the threat of rain, no downpour was forthcoming. During the half-time interval, the two clubs came together, with Lekhwiya SC's president and Eibar board member Mikel Larrañaga - who is part of the expedition - sharing in a friendly conversation.